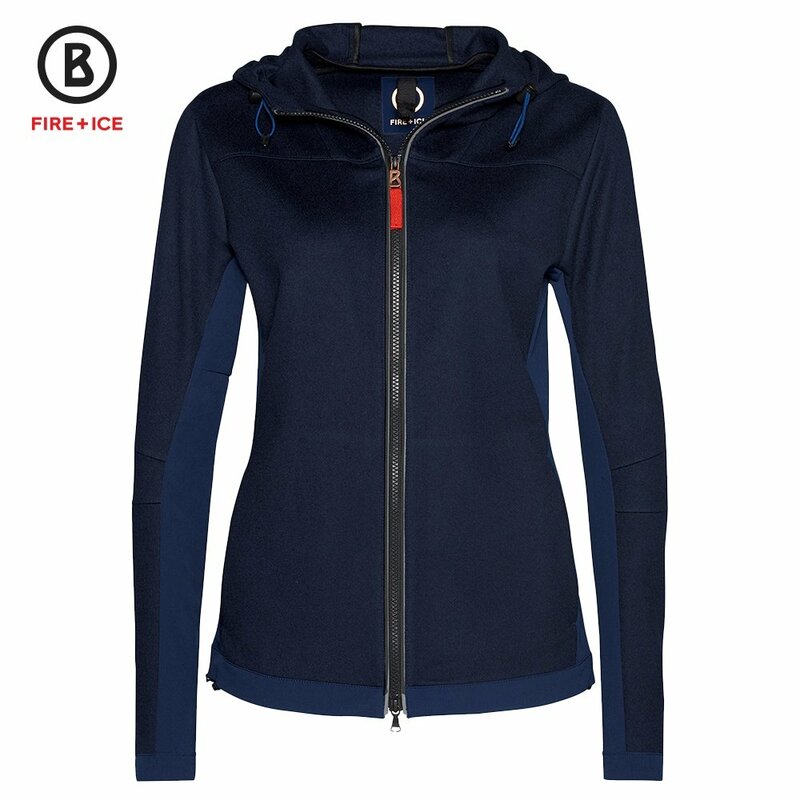 The Bogner Fire + Ice Dewi Fleece Jacket is a comfortable and warm jacket perfect for some après-ski fun. The slim fit cut offers a stylish look, while the stretch fabric gives you the mobility you want even if you’re wearing this under a shell ski jacket. The detachable hood, drawcord hem, and two-way zipper all help to keep the elements out. The Bogner Fire + Ice Dewi Fleece Jacket features tonal panels and Fire + Ice emblems for a stylish luxe look that’s sure to turn heads on the slopes.